When building forms for websites – from a developer point of view at least – you need to account for the possibility of complete user failure. More so than that, you need to account for malicious users (or bots) attempting to hijack the form for nefarious purposes. The technical aspects of limiting these situations are not what this blog is about. Not very helpful. Leaving your users to scratch their heads as they try to work out what they did wrong will simply frustrate them and perhaps even convince some not to bother trying again. 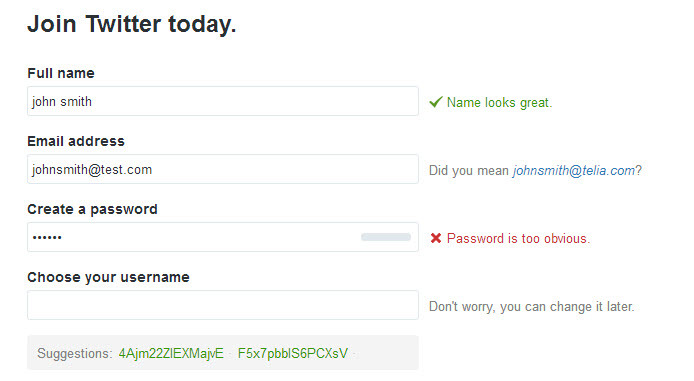 It is important to explain form errors to users in a positive voice, with clear indicators on what needs to change for the entered data to be valid. eBay.com.au - Their registration form could not possibly be clearer with its error handling. The summary at the top makes it obvious that there are mistakes that need correcting and specifies the affected fields. 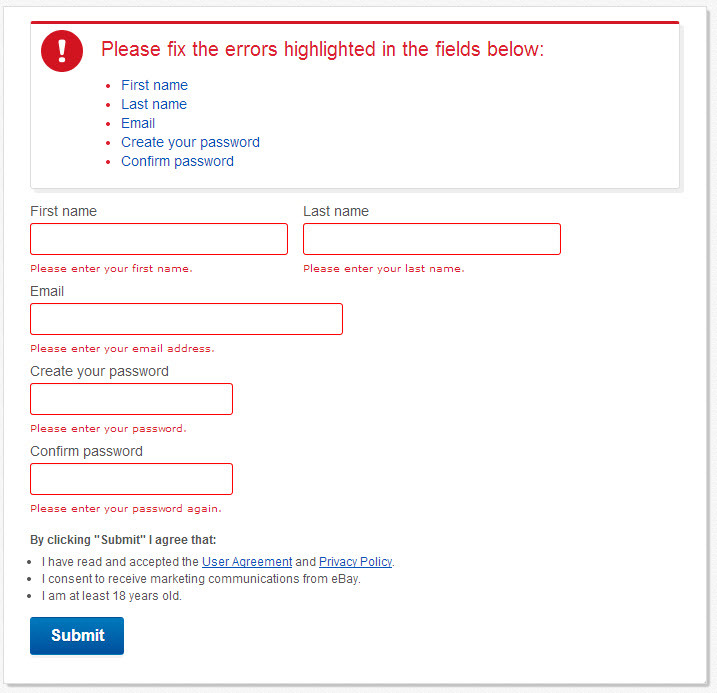 Each field is highlighted red indicating error, with a friendly message (again in a positive voice) explaining the issue. This validation appears when the form is submitted. ThinkGeek.com describe the issue with a little humour and importantly, a link to their live support in the error dialogue itself, should the user need further help. Website forms are the gateway to the rich content that your website is all about, so make them a aimple and pleasurable experience. View Previous blog Bring your website to life!